A cannon is a type of gun classified as artillery that launches a projectile using propellant. 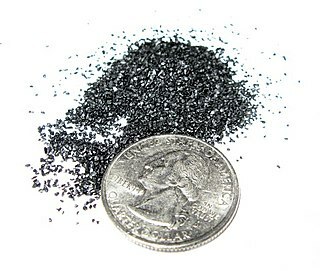 In the past, gunpowder was the primary propellant before the invention of smokeless powder in the 19th century. Cannon vary in caliber, range, mobility, rate of fire, angle of fire, and firepower; different forms of cannon combine and balance these attributes in varying degrees, depending on their intended use on the battlefield. 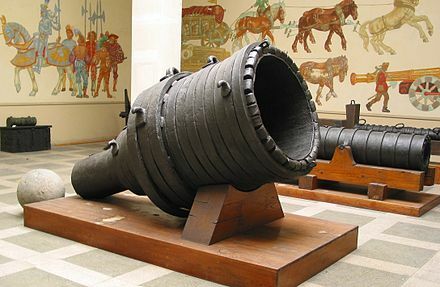 The word cannon is derived from several languages, in which the original definition can usually be translated as tube, cane, or reed. In the modern era, the term cannon has fallen into decline, replaced by guns or artillery if not a more specific term such as mortar or howitzer, except for high calibre automatic weapons firing bigger rounds than machine guns, called autocannons. Although not called as such, machines performing the role recognizable as artillery have been employed in warfare since antiquity. Historical references show artillery was first employed by the Roman legions at Syracuse in 399 BC. [ citation needed ] Until the introduction of gunpowder into western warfare, artillery was dependent upon mechanical energy which not only severely limited the kinetic energy of the projectiles, it also required the construction of very large engines to store sufficient energy. A 1st-century BC Roman catapult launching 6.55 kg (14.4 lb) stones achieved a kinetic energy of 16,000 joules, compared to a mid-19th-century 12-pounder gun, which fired a 4.1 kg (9.0 lb) round, with a kinetic energy of 240,000 joules, or a late 20th century US battleship that fired a 1,225 kg (2,701 lb) projectile from its main battery with an energy level surpassing 350,000,000 joules. Syracuse is a historic city on the island of Sicily, the capital of the Italian province of Syracuse. The city is notable for its rich Greek history, culture, amphitheatres, architecture, and as the birthplace of the preeminent mathematician and engineer Archimedes. This 2,700-year-old city played a key role in ancient times, when it was one of the major powers of the Mediterranean world. 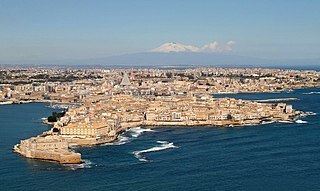 Syracuse is located in the southeast corner of the island of Sicily, next to the Gulf of Syracuse beside the Ionian Sea. Early Chinese artillery had vase-like shapes. This includes the "long range awe inspiring" cannon dated from 1350 and found in the 14th century Ming Dynasty treatise Huolongjing . 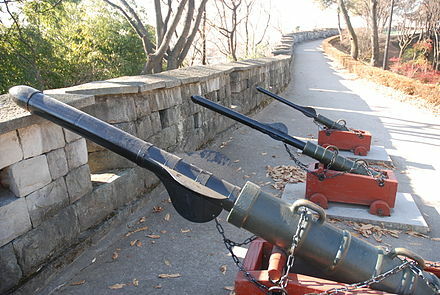 With the development of better metallurgy techniques, later cannons abandoned the vase shape of early Chinese artillery. This change can be seen in the bronze "thousand ball thunder cannon," an early example of field artillery. These small, crude weapons diffused into the Middle East (the madfaa ) and reached Europe in the 13th century, in a very limited manner. As small smooth-bore tubes these were initially cast in iron or bronze around a core, with the first drilled bore ordnance recorded in operation near Seville in 1247. [ citation needed ] They fired lead, iron, or stone balls, sometimes large arrows and on occasions simply handfuls of whatever scrap came to hand. During the Hundred Years' War, these weapons became more common, initially as the bombard and later the cannon. Cannon were always muzzle-loaders. While there were many early attempts at breech-loading designs, a lack of engineering knowledge rendered these even more dangerous to use than muzzle-loaders. In 1415, the Portuguese invaded the Mediterranean port town of Ceuta. While it is difficult to confirm the use of firearms in the siege of the city, it is known the Portuguese defended it thereafter with firearms, namely bombardas, colebratas, and falconetes. In 1419, Sultan Abu Sa'id led an army to reconquer the fallen city, and Moroccans brought cannons and used them in the assault on Ceuta. Finally, hand-held firearms and riflemen appear in Morocco, in 1437, in an expedition against the people of Tangiers. [ page needed ] It is clear these weapons had developed into several different forms, from small guns to large artillery pieces. The artillery revolution in Europe caught on during the Hundred Years' War and changed the way that battles were fought. 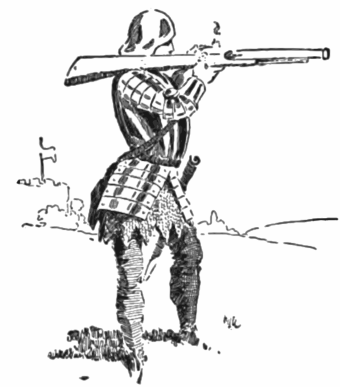 In the preceding decades, the English had even used a gunpowder-like weapon in military campaigns against the Scottish. However, at this time, the cannons used in battle were very small and not particularly powerful. Cannons were only useful for the defense of a castle, as demonstrated at Breteuil in 1356, when the besieged English used a cannon to destroy an attacking French assault tower. By the end of the 14th century, cannon were only powerful enough to knock in roofs, and could not penetrate castle walls. However, a major change occurred between 1420 and 1430, when artillery became much more powerful and could now batter strongholds and fortresses quite efficiently. 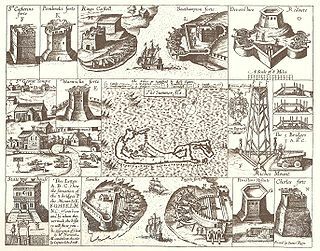 The English, French, and Burgundians all advanced in military technology, and as a result the traditional advantage that went to the defense in a siege was lost. The cannon during this period were elongated, and the recipe for gunpowder was improved to make it three times as powerful as before. These changes led to the increased power in the artillery weapons of the time. Joan of Arc encountered gunpowder weaponry several times. When she led the French against the English at the Battle of Tourelles, in 1430, she faced heavy gunpowder fortifications, and yet her troops prevailed in that battle. In addition, she led assaults against the English-held towns of Jargeau, Meung, and Beaugency, all with the support of large artillery units. When she led the assault on Paris, Joan faced stiff artillery fire, especially from the suburb of St. Denis, which ultimately led to her defeat in this battle. In April 1430, she went to battle against the Burgundians, whose support was purchased by the English. At this time, the Burgundians had the strongest and largest gunpowder arsenal among the European powers, and yet the French, under Joan of Arc's leadership, were able to beat back the Burgundians and defend themselves. As a result, most of the battles of the Hundred Years' War that Joan of Arc participated in were fought with gunpowder artillery. The army of Mehmet the Conqueror, which conquered Constantinople in 1453, included both artillery and foot soldiers armed with gunpowder weapons. The Ottomans brought to the siege sixty-nine guns in fifteen separate batteries and trained them at the walls of the city. The barrage of Ottoman cannon fire lasted forty days, and they are estimated to have fired 19,320 times. 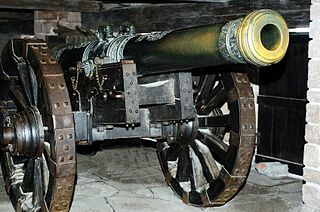 Artillery also played a decisive role in the Battle of St. Jakob an der Birs of 1444. 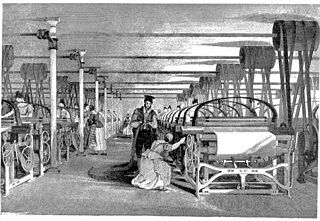 After the British artillery was shown up in the Crimean War as having barely changed since the Napoleonic Wars the industrialist William Armstrong was awarded a contract by the government to design a new piece of artillery. Production started in 1855 at the Elswick Ordnance Company and the Royal Arsenal at Woolwich, and the outcome was the revolutionary Armstrong Gun, which marked the birth of modern artillery. Three of its features particularly stand out. First, the piece was rifled, which allowed for a much more accurate and powerful action. 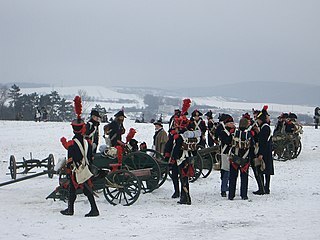 Although rifling had been tried on small arms since the 15th century, the necessary machinery to accurately rifle artillery was not available until the mid-19th century. 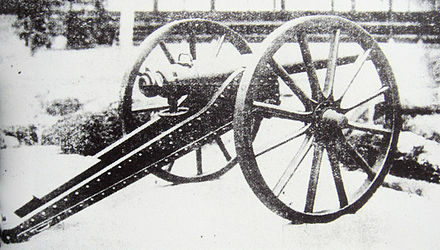 Martin von Wahrendorff, and Joseph Whitworth independently produced rifled cannon in the 1840s, but it was Armstrong's gun that was first to see widespread use during the Crimean War. The cast iron shell of the Armstrong gun was similar in shape to a Minié ball and had a thin lead coating which made it fractionally larger than the gun's bore and which engaged with the gun's rifling grooves to impart spin to the shell. This spin, together with the elimination of windage as a result of the tight fit, enabled the gun to achieve greater range and accuracy than existing smooth-bore muzzle-loaders with a smaller powder charge. The first cannon to contain all 'modern' features is generally considered to be the French 75 of 1897. 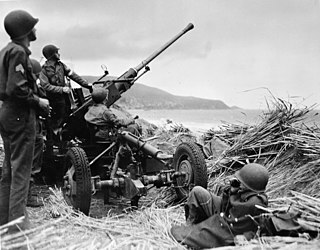 It was the first field gun to include a hydro-pneumatic recoil mechanism, which kept the gun's trail and wheels perfectly still during the firing sequence. Since it did not need to be re-aimed after each shot, the crew could fire as soon as the barrel returned to its resting position. In typical use, the French 75 could deliver fifteen rounds per minute on its target, either shrapnel or melinite high-explosive, up to about 5 miles (8,500 m) away. Its firing rate could even reach close to 30 rounds per minute, albeit only for a very short time and with a highly experienced crew. These were rates that contemporary bolt action rifles could not match. The gun used cased ammunition, was breech-loading, and had modern sights, a self-contained firing mechanism and hydro-pneumatic recoil dampening. The British major-general Henry Hugh Tudor pioneered armour and artillery cooperation at the breakthrough Battle of Cambrai. 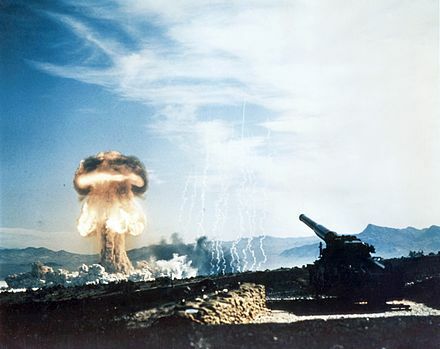 The improvements in providing and using data for non-standard conditions (propellant temperature, muzzle velocity, wind, air temperature, and barometric pressure) were developed by the major combatants throughout the war and enabled effective predicted fire. 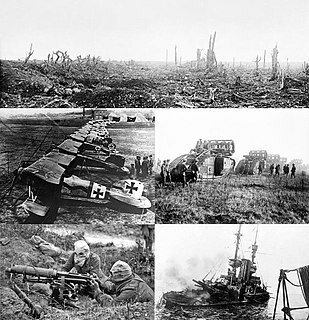 The effectiveness of this was demonstrated by the British in 1917 (at Cambrai) and by Germany the following year (Operation Michael). The term "artillery" has traditionally not been used for projectiles with internal guidance systems, preferring the term "missilery",[ citation needed ] though some modern artillery units employ surface-to-surface missiles. Advances in terminal guidance systems for small munitions has allowed large-caliber guided projectiles to be developed, blurring this distinction. Wikimedia Commons has media related to Fuzes . Bursting: high-explosive, white phosphorus ("Willie Pete" or "Wilson Picket"),[ citation needed ] coloured marker, chemical, nuclear devices; high explosive anti-tank (HEAT) and canister may be considered special types of bursting shell. Base Ejection: dual purpose improved conventional munitions (DPICM)-bomblets, which arm themselves and function after a set number of rotations after having been ejected from the projectile (this produces unexploded sub-munitions, or "duds", which remain dangerous), scatterable mines, illuminating, coloured flare, smoke, incendiary, propaganda, chaff  (foil to jam radars)  and modern exotics such as electronic payloads and sensor-fuzed munitions. All these calculations to produce a quadrant elevation (or range) and azimuth were done manually using instruments, tablulated, data of the moment, and approximations until battlefield computers started appearing in the 1960s and 1970s. While some early calculators copied the manual method (typically substituting polynomials for tabulated data), computers use a different approach. They simulate a shell's trajectory by 'flying' it in short steps and applying data about the conditions affecting the trajectory at each step. This simulation is repeated until it produces a quadrant elevation and azimuth that lands the shell within the required 'closing' distance of the target coordinates. NATO has a standard ballistic model for computer calculations and has expanded the scope of this into the NATO Armaments Ballistic Kernel (NABK)  within the SG2 Shareable (Fire Control) Software Suite (S4). There are several dimensions to this subject. The first is the notion that fire may be against an opportunity target or may be prearranged. If it is the latter it may be either on-call or scheduled. Prearranged targets may be part of a fire plan. Fire may be either observed or unobserved, if the former it may be adjusted, if the latter then it has to be predicted . Observation of adjusted fire may be directly by a forward observer or indirectly via some other target acquisition system. Counterbattery fire : delivered for the purpose of destroying or neutralizing the enemy's fire support system. Harassing fire : a random number of shells are fired at random intervals, without any pattern to it that the enemy can predict. This process is designed to hinder enemy forces' movement, and, by the constantly imposed stress, threat of losses and inability of enemy forces to relax or sleep, lowers their morale. A technique called Time on Target was developed by the British Army in North Africa at the end of 1941 and early 1942 particularly for counter-battery fire and other concentrations, it proved very popular. It relied on BBC time signals to enable officers to synchronize their watches to the second because this avoided the need to use military radio networks and the possibility of losing surprise, and the need for field telephone networks in the desert. With this technique the time of flight from each fire unit (battery or troop) to the target is taken from the range or firing tables, or the computer and each engaging fire unit subtracts its time of flight from the TOT to determine the time to fire. An executive order to fire is given to all guns in the fire unit at the correct moment to fire. When each fire unit fires their rounds at their individual firing time all the opening rounds will reach the target area almost simultaneously. This is especially effective when combined with techniques that allow fires for effect to be made without preliminary adjusting fires. Examples of guns with a rate of fire that makes them suitable for MRSI includes UK's AS-90, South Africa's Denel G6-52 (which can land six rounds simultaneously at targets at least 25 km (16 mi) away), Germany's Panzerhaubitze 2000 (which can land five rounds simultaneously at targets at least 17 km (11 mi) away), and Slovakia's 155 mm SpGH ZUZANA model 2000. The Archer project (developed by BAE-Systems in Sweden) is a 155 mm howitzer on a wheeled chassis which is claimed to be able to deliver up to six shells on target simultaneously from the same gun. The 120 mm twin barrel AMOS mortar system, joint developed by Hägglunds (Sweden) and Patria (Finland),  is capable of 7 + 7 shells MRSI. The United States Crusader program (now cancelled) was slated to have MRSI capability. It is unclear how many fire control computers have the necessary capabilities. Self-propelled artillery is artillery equipped with its own propulsion system to move towards its target. Within the terminology are the self-propelled gun, self-propelled howitzer, self-propelled mortar, and rocket artillery. They are high mobility vehicles, usually based on continuous tracks carrying either a large field gun, howitzer, mortar, or some form of rocket/missile launcher. They are usually used for long-range indirect bombardment support on the battlefield. The 8 inch (203 mm) M110 self-propelled howitzer was the largest available self-propelled howitzer in the United States Army's inventory. Consisting of an M115 203 mm howitzer installed on a purpose built chassis, it was deployed in division artillery in general support battalions and in separate corps- and army-level battalions. Missions include general support, counter-battery fire, and suppression of enemy air defense systems. The M110 was exported to a number of countries. A shell is a payload-carrying projectile that, as opposed to shot, contains an explosive or other filling, though modern usage sometimes includes large solid projectiles properly termed shot. Solid shot may contain a pyrotechnic compound if a tracer or spotting charge is used. Originally, it was called a "bombshell", but "shell" has come to be unambiguous in a military context. Field artillery is a category of mobile artillery used to support armies in the field. These weapons are specialized for mobility, tactical proficiency, short range, long range, and extremely long range target engagement. This article explains terms used for the British Armed Forces' ordnance and also ammunition. The terms may have slightly different meanings in the military of other countries. In the land-based field artillery, the field artillery team is organized to direct and control indirect artillery fire on the battlefield. Since World War I, to conduct indirect artillery fire, three distinct components have evolved in this organization: the forward observer, the fire direction center (FDC) and what is called the gun line. On the battlefield, the field artillery team consists of some combinations of all of these elements. In other words, there may be multiple FOs calling in fire on multiple targets to multiple FDCs and any component may be in communication with some of the other elements depending on the situational requirements. Licorne is the French name of an 18th- and 19th-century Russian cannon, a type of muzzle-loading howitzer, devised in 1757 by M.W. Danilov and S.A. Martynov and accepted by artillery commander, general Peter Ivanovich Shuvalov. The 2 inch medium trench mortar, also known as the 2-inch howitzer, and nicknamed the "toffee apple" or "plum pudding" mortar, was a British smooth bore muzzle loading (SBML) medium trench mortar in use in World War I from mid-1915 to mid-1917. The designation "2-inch" refers to the mortar barrel, into which only the 22-inch bomb shaft but not the bomb itself was inserted; the spherical bomb itself was actually 9 inches (230 mm) in diameter and weighed 42 lb (19 kg), hence this weapon is more comparable to a standard mortar of approximately 5-6 inch bore. An artillery fuze or fuse is the type of munition fuze used with artillery munitions, typically projectiles fired by guns, howitzers and mortars. A fuze is a device that initiates an explosive function in a munition, most commonly causing it to detonate or release its contents, when its activation conditions are met. This action typically occurs a preset time after firing, or on physical contact with or detected proximity to the ground, a structure or other target. Fuze, a variant of fuse, is the official NATO spelling. The High-Low system, also referred to as the "High-Low Pressure system", the "High-Low Propulsion System", and the "High-Low projection system", is a design of cannon and antitank launcher using a smaller high-pressure chamber for storing the propellant. It enables a much larger projectile to be launched without the heavy equipment typically required for large caliber weapons. When the propellant is ignited, the higher pressure gases are bled out through vents at reduced pressure to a much larger low pressure chamber to push the projectile forward. With the High-Low System a weapon can be designed with reduced or negligible recoil. The High-Low System also allows the weight of the weapon and its ammunition to be significantly reduced. Manufacturing cost and production time are drastically lower than for standard cannon or other small-arm weapon systems firing a projectile of the same size and weight. It has a far more efficient use of the propellant, unlike earlier recoilless weapons, where most of the propellant is expended to the rear of the weapon to counter the recoil of the projectile being fired. The RML 8-inch howitzer was a British Rifled, Muzzle Loading (RML) Howitzer manufactured in England in the 19th century, which fired a projectile weighing approximately 180 pounds (82 kg). 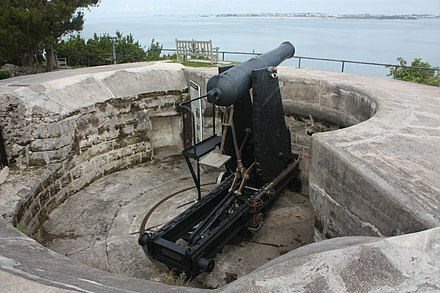 It was used in siege batteries and in fortifications. ↑ Šotnar, Jiří; Carbol, Michal; Blaha, Martin. "Modernization of artillery reconnaissance" (PDF). INASE. Applied Mathematics, Computational Science and Engineering. Retrieved March 17, 2015. ↑ Needham, Joseph (1987). Science & Civilisation in China, volume 7: The Gunpowder Epic. Cambridge University Press. pp. 317–19. ISBN 978-0-521-30358-3. ↑ unknown (1590s). "1526, First Battle of Panipat, Ibrahim Lodhi and Babur". Baburnama. ↑ Lee, T.W. (2008-12-30). Military Technologies of the World. ISBN 978-0-275-99536-2 . Retrieved 17 November 2017. ↑ Rogers, Clifford J. (1993). "The Military Revolutions of the Hundred Years' War". The Journal of Military History . 57 (2): 241–78. doi:10.2307/2944058. ISSN 1543-7795. JSTOR 2944058. (Registration required (help)). ↑ Nicolle, David (2000). Constantinople 1453: The end of Byzantium. London: Osprey Publishing. pp. 29–30. ISBN 978-1-84176-091-9. ↑ Nicolle, David (1983). Armies of the Ottoman Turks 1300–1774. Osprey Publishing. pp. 29–30. ISBN 978-0-85045-511-3. 1 2 3 4 Keegan, John, A History of Warfare (Vintage, 1993). ↑ Ordway, Vice-Commander of Artillery of the Polish king, Wladyslaw IV, Great Art of Artillery, the First Part, also known as The Complete Art of Artillery, pp. 407–16. ↑ Frederick C. Durant III; Stephen Oliver Fought; John F. Guilmartin, Jr. "Rocket and missile system". Encyclopædia Britannica. Retrieved December 19, 2011. ↑ "Tipu's missile launch pad in shambles". The Hindu. Karnataka, India. June 23, 2005. Retrieved December 16, 2011. ↑ Bastable, Marshall J. (1992). "From Breechloaders to Monster Guns: Sir William Armstrong and the Invention of Modern Artillery, 1854–1880". Technology and Culture . 33 (2): 213–47. doi:10.2307/3105857. ISSN 1097-3729. JSTOR 3105857. (Registration required (help)). ↑ Christopher Bellamy, Red God of War: Soviet Artillery and Rocket Forces, London, 1986, p.16, quoted in Knox, MacGregor; Murray, Williamson (2001). The Dynamics of Military Revolution. New York: Cambridge University Press. p. 135. ISBN 978-0-521-80079-2. ↑ Knox, MacGregor; Murray, Williamson (2001). The Dynamics of Military Revolution. New York: Cambridge University Press. p. 136. ISBN 978-0-521-80079-2. ↑ Frank W. Sweet (2000). The Evolution of Indirect Fire. Backintyme. pp. 28–33. ISBN 978-0-939479-20-7. ↑ Knox, MacGregor; Murray, Williamson (2001). The Dynamics of Military Revolution. New York: Cambridge University Press. p. 141. ISBN 978-0-521-80079-2. .
↑ "Fin-stabilized artillery shell". patentstorm.us. August 24, 2004. Archived from the original on February 9, 2008. ↑ "Guided artillery missile with extremely long range". patentstorm.us. August 24, 2004. Archived from the original on February 9, 2008. ↑ McNab, Chris; Hunter Keeter (2008). Tools of Violence: Guns, Tanks and Dirty Bombs. Osprey Publishing. p. 145. ISBN 978-1-84603-225-7. ↑ "NEWS ANALYSIS: In a changing world, Finland's artillery stays the same". ↑ "patriahagglunds.fi". Archived from the original on April 4, 2010. Retrieved April 4, 2010. 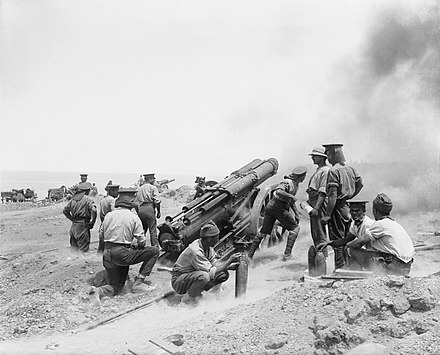 Wikimedia Commons has media related to Artillery .